The dust on the Samsung Galaxy S9’s launch has barely settled and it appears that the South Korean giant has already started working on the successor to the Galaxy S9 series phones. With Galaxy S series set to celebrate its 10th anniversary in the smartphone market next year, Samsung has plans to commemorate it with the release of its upcoming flagship device, Galaxy S10 by making big changes over the current Galaxy S9. In this article, we have gathered all the rumors, leaks, and news about the Samsung Galaxy S10 that you may want to know. 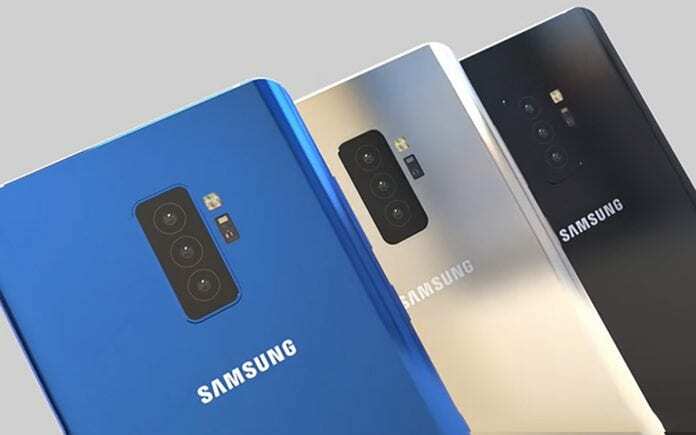 Apparently, Samsung has finalized the design of the Galaxy S10 and it will be offering a 3D camera sensor for the upcoming flagship that is allegedly being designed by Israel-based Mantis Vision. The Galaxy S10 will also inherit the nearly bezel-less design and Infinity Display from its predecessor. Further, ever-reliable and Twitter tipster Ice Universe, says that Samsung is testing a new display for the Galaxy S10 with a 93% screen-to-body ratio and resolution which “will exceed 600PPI [pixels per inch]”. This not only compares to an 86% screen-to-body ratio and 570 ppi resolution on the Galaxy S9, but it also trumps the iPhone X’s 458 ppi. Ice Universe also disclosed that the Galaxy S10 will feature a refreshed Samsung Exynos chipset in the EMEA (Europe, the Middle East, and Africa) region, while the North American variant will be equipped with Qualcomm’s upcoming Snapdragon 855. Both will come with at least 6GB of RAM and 64GB of storage. The tipster had also previously stated the Galaxy S10 will support 5G connectivity and feature a dedicated neural processing chip for AI technologies. Additionally, the Galaxy S10 will likely be Samsung’s first smartphone to feature an on-screen fingerprint sensor. It is rumored that Qualcomm and Synaptics will be providing this technology to the US models of Galaxy S10, while the same will be manufactured by Aegis Tech for the Taiwanese variant of the device. The company’s next-generation flagship Galaxy S10 is likely to be announced as soon as at CES 2019 in early January. While there are no doubts that Samsung has big plans for its next Galaxy S device, we have no way to confirm the authenticity of this leak just yet. Therefore, we request you to take this information with a grain of salt for now.